After testing 10+ laptops, narrowing it down to the final five and then testing it in actual home environments, we came to the conclusion that the Dell XPS 13 is the best laptop for home use. The Dell XPS 13 is a fantastic all-rounder and represents great value-for-money. It has a great display, is good to type on and is thin and lightweight all in one package. Finding the right laptop for home use can be a tricky task that depends on a number of factors. Do you need a sturdier laptop because you have young kids? Do you need a backlit keyboard because you often work at night? The list goes on. We’ve taken all of these factors into consideration during testing and decided on one laptop that impressed us in all of our tests. We determined this final set by our own testing, reading through hundreds of online reviews and simply just by asking people. Obviously this criteria can be subjective, as some people value certain features above others. But in the aim of writing a non-biased, informative review, we weighted the attributes most commonly spoken about on online reviews and by asking people higher than our own opinion. Although this is going to sound cliche, you should honestly choose the laptop that is best for you and your environment. If you are parents to a family of 3 toddlers who are prone to throwing things around, then you should be considering a sturdy laptop with well-built hinges and built tough. If you are someone who often works until the late hours of the morning, then you should be considering a laptop that has a backlit keyboard. If you are struggling to pay the rent this week and are looking for a cheap option, then.. You guessed it, you should be buying a cheap laptop! Ultimately the decision is up to you, but we’ve chosen what we think is the best all-round laptop for home use taking the attributes mentioned above into consideration. Whilst you should be choosing a laptop that is right for your home environment, you should also be taking some other factors into consideration. Chromebooks can start as cheap as $200, whilst gaming laptops could set you anywhere up to $3000. Ideally, for general home use, you probably want something around the $1000 mark. Laptops around the $1000 mark often sit at the sweet spot of features and price and represent the best value-for-money. How you use your laptop is going to determine how important laptop durability is for you. If you use the laptop as a desktop replacement and it doesn’t move, then a durable laptop is irrelevant. However, if you’re someone who carts the laptop up and down stairs, sits in the backyard with it, leaves it on the lounge etc. then you might want something that can withstand a bit of punishment. There is nothing worse than typing on a keyboard that feels clunky and gives little-to-no tactile feedback. If you primarily use your home laptop to respond to emails out of work hours or run your side business from it, then you are going to want a laptop with a nice keyboard. If you’re someone who regularly works on your laptop at night, then you definitely want a backlit keyboard so that you can see what you’re typing. Display and portability sort’ve fall into a similar category as the bigger your screen is, the heavier your laptop is and subsequently affects how easy it is to transport around. I also find that screen size is very much personal preference. Some people like a smaller screen, whilst others prefer a larger one. If you’re someone that often multi-tasks and has windows open side-by-side then I would definitely recommend a 14” laptop or bigger for home use. There’s nothing worse than sitting there waiting for your document to load. You need to determine what your laptop usage is going to be like when you consider the specs you might need. If you often multi-task then I would suggest a minimum of 8GB of RAM, whereas if you do some light gaming on the side you might want a dedicated graphics card for higher FPS. At the end of the day, you are the one who has to look at your laptop daily. Aesthetics are more of a ‘want’ requirement than a ‘need’ one but some people value looks highly. Others also prefer a slim laptop or laptops with different colors, all of that is fine, just make sure you look at photos before you buy! In our opinion, the Dell XPS 13 is by far the best laptop for home use for the money. It represents fantastic value-for-money and has a number of great features. The XPS 13 features a carbon-fiber base that contrasts elegantly with the brushed metal lid and underside. On the bottom of the laptop you’ll find a flap that hides the ugly stickers you often find plastered across laptops that are required by law. The keyboard on the XPS is fantastic to work with. It has a somewhat shallow ‘travel time’ (depth) but has a nice spring at the bottom of the press to give you some lovely tactile feedback. Additionally, the touchpad is a pleasure to use and is responsive to every touch I make. The 13.3” Full HD touch screen displays great brightness and images look fantastic on the screen. Dell’s ‘infinity-edge’ bezel means the screen extends almost all the way to the edge of the laptop, which makes the screen look bigger than it is. One great aspect of the XPS 13 is the 13-hour battery life. That means you’ll be able to get a full day’s use out of the laptop without needing to find your charger. If you happen to use the laptop for home and for college, then you’ll also make it through a full day of classes! At just 2.8 lbs, this laptop is seriously lightweight. Its as heavy as a book, so you’ll never have an issue carrying it around. Measuring in at 0.6 inches, the XPS is also super thin and aesthetically pleasing. The Dell comes with an Intel i5-6200U processor and 8GB of RAM which will enable you to multi-task effectively. A 128GB SSD hard drive indulges you with quick boot speeds and snappy product launches, whilst the integrated graphics are enough to play some non-graphics intensive games such as League of Legends. The XPS 13 is shipped with Windows 10, which is a massive improvement over Windows 8. It also comes with a one-year standard warranty, which can be upgraded to four. One awkward aspect of the Dell XPS 13 is the webcam placement. Due to the ‘infinity-edge’ bezel, there is no space at the top of the laptop for a webcam, so Dell has placed it just above the keyboard. The result is that the video is taken from below you, rather than from eye-level which is slightly annoying, but can be overlooked. The Dell Chromebook 13 7310 also represents great value-for-money. It has a great battery life, backlit keyboard and a terrific display. However, as it’s a Chromebook it only has limited storage which is not ideal for using your laptop at home. 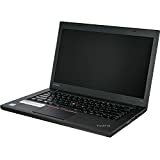 The Lenovo ThinkPad T460 is a great laptop in its own right but more geared towards people using it as a business laptop, and for that reason it hasn’t be chosen as the #1 laptop. The HP Spectre x360 2-in-1 is a very good choice, sporting an excellent keyboard and an extended battery life. Unfortunately it’s let down by its operating system, Windows 8. Whilst operating systems can be re-installed, it’s not ideal to have to configure a system out of the box to get it working to its full potential. The Apple MacBook Air 13.3″ is surely a contender whenever anyone talks about getting a laptop for any purpose. If you have an iPhone, Apple TV, iPad, Time Machine and the rest of the products in the Apple ecosystem, then the Macbook Air is a great choice. However, for those that don’t, I just can’t recommend it as I don’t believe you can use it to its full potential. Overall, we are super impressed with the Dell XPS 13 . It’s well priced, has a great display and is lightweight and aesthetically pleasing. Typing on the XPS 13 feels great and the touchpad is responsive. Additionally, it has enough grunt underneath the hood to easily multi-task whatever applications you throw at it. 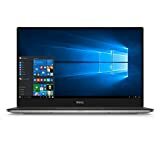 All-in-all, the XPS 13 is the best laptop for home use. It is a terrific all-rounder and I would recommend this laptop to anyone I speak to.